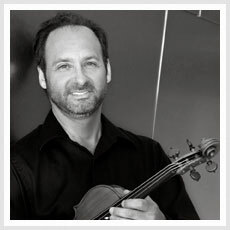 Violinist Mitchell Newman is a native of Los Angeles and joined the Los Angeles Philharmonic in 1987. After studies with Philharmonic violist David Stockhammer, he attended the Curtis Institute of Music, studying with David Cerone, Yumi Ninomya and Aaron Rosand. Newman is a regular participant in the LA Phil’s Chamber Music Society and Green Umbrella series and has had the opportunity to play the Mendelssohn Octet with Joshua Bell, and Thomas Ades’ Piano Quintet with the composer playing piano. Newman can be heard on Grammy-winning Southwest Chamber Music’s recording of the First and Third String Quartets of Carlos Chávez. He has also recorded the music of Eric Zeisl for Harmonia Mundi, and Stories from My Favorite Planet by Los Angeles composer Russell Steinberg. 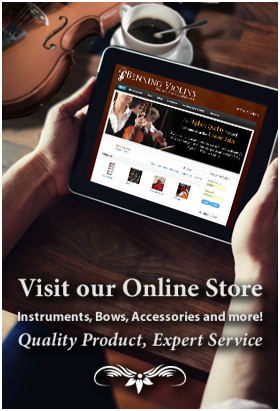 Newman also gives performances at the Gold Coast Chamber Music Festival in the San Francisco area. Currently, Newman teaches privately and coaches orchestra repertoire at the Colburn School. Each year he produces, performs, and narrates a concert in English and Spanish for the Los Angeles Philharmonic at St. Thomas Church. Also yearly, he produces and plays a fundraising chamber music concert for Mental Health America Long Beach and was recognized as a Mental Health Hero by the California State Senate. In the summer of 2010, Newman opened Hilltop Boot Camp: Orchestra Audition Preparation for Strings (playdonjuan.com). He also travels to Ensenada, Mexico to work with the students of the Benning Academy, a program that provides instruments and lessons to children of all economic backgrounds. Newman is President of the Board of the Los Angeles Youth Orchestra.